I am very excited about sharing today’s Regional Italian recipe. You can easily guess that this week’s region is Sicily… granite (plural for granita) are the quintessential Sicilian breakfast, especially in summer. There are so many flavours, it is hard to choose only one when you sit at one of the local cafés… my favourite ones are the classic lemon, or gelsi (mulberry)… or coffee, which often comes with a generous amount of whipped cream on the top and the traditional brioche to eat it with. I also love another flavour… but that’s going to be a surprise I will leave for another day. 🙂 I think I should clarify a couple of things before leaving you to the recipe (which is really quite simple, by the way). First off… no need to call it “Sicilian granita” (or “granita siciliana”) as I have often seen on the web. The original granita is ONLY Sicilian, so adding the adjective “Sicilian” to it is pure tautology. 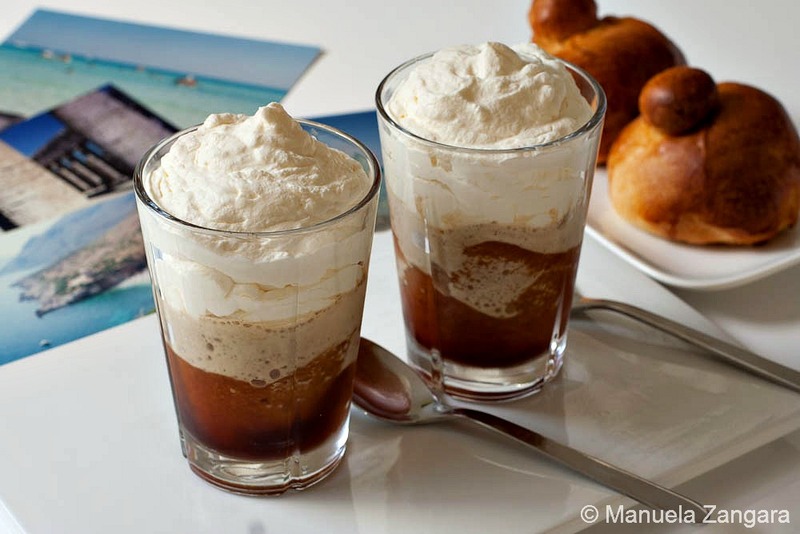 In Italy itself there are many kinds of ice based sweets, similar to granita, which have different names… the most famous one would have to be grattachecca from Rome. 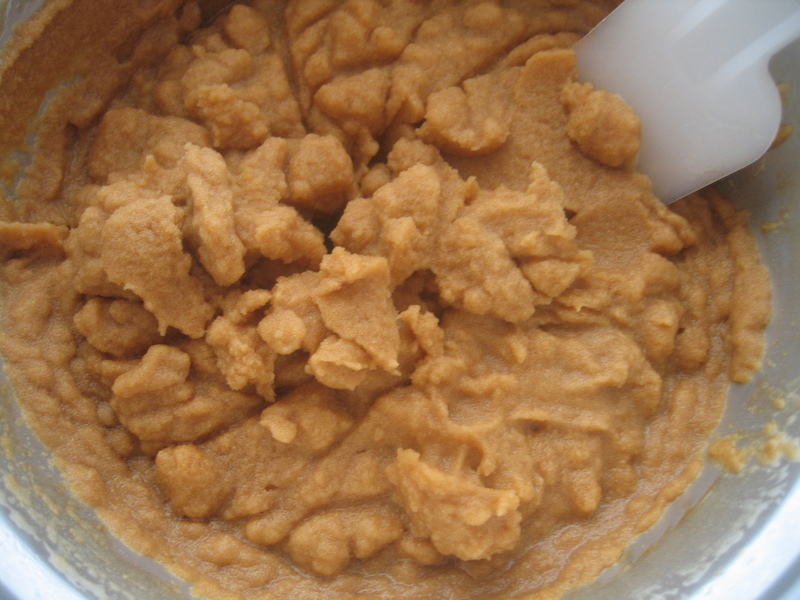 What makes granita a granita is the fact that the flavouring is added to the water first and then the mix gets frozen. A grattachecca, instead, is shaved ice with syrup on the top. But what consistency should your granita have?? The traditional granita, the one you can enjoy at a café, has the consistency of a slightly more icy, less compact sorbet. So, the best way to make granita at home is by using an ice cream maker, as this will ensure the perfect texture. 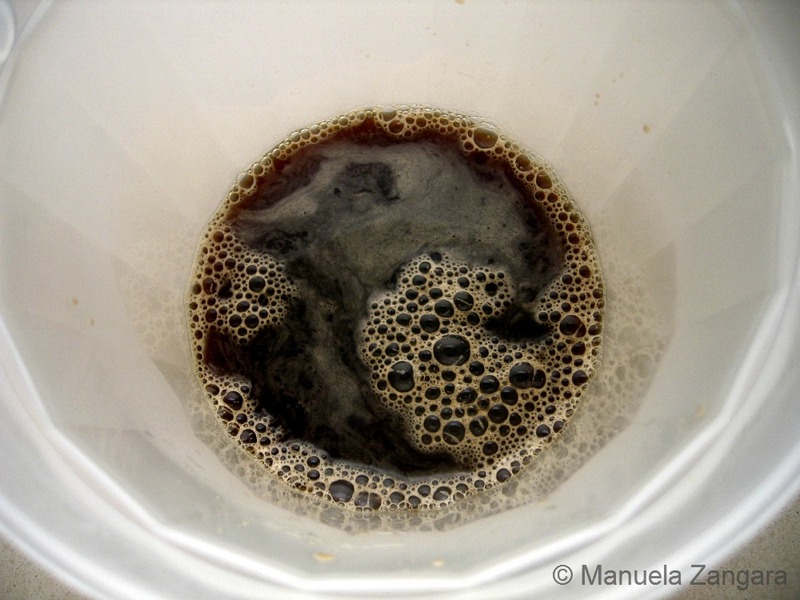 If you don’t have one, then you will need to freeze the liquid and mix it every so often (scraping the ice crystals with a fork)… the final consistency will not be the same, but it will still taste delicious! Enjoy it with whipped cream and a brioche… for the perfect summer breakfast! 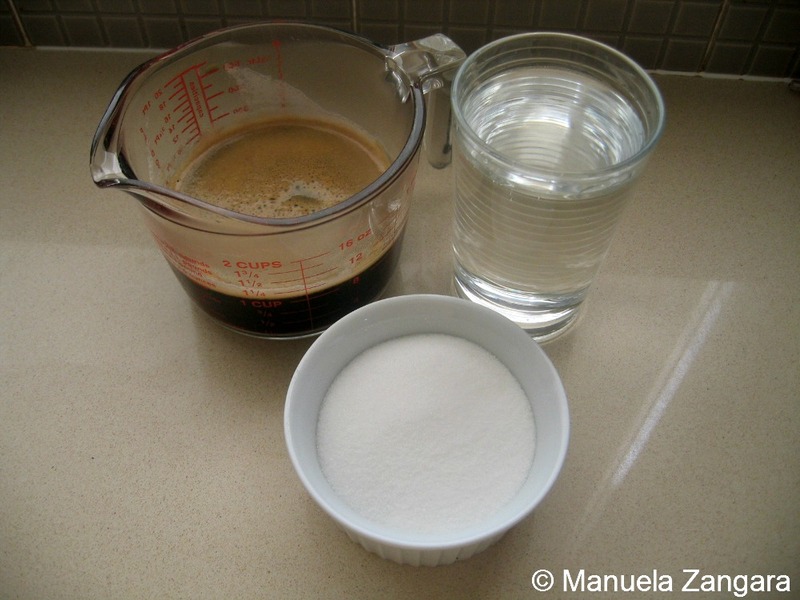 Put the sugar in the hot espresso and stir until melted. Add the cold water and mix well. Chill for at least 2 hours in the fridge. Churn in the ice cream maker for 20 to 30 minutes, until the granita reaches a sorbet like consistency. Pour it in a glass, decorate it with some lightly sweetened whipped cream and serve it with a brioche on the side. Have a spoonful of it… close your eyes and… you are in Sicily! 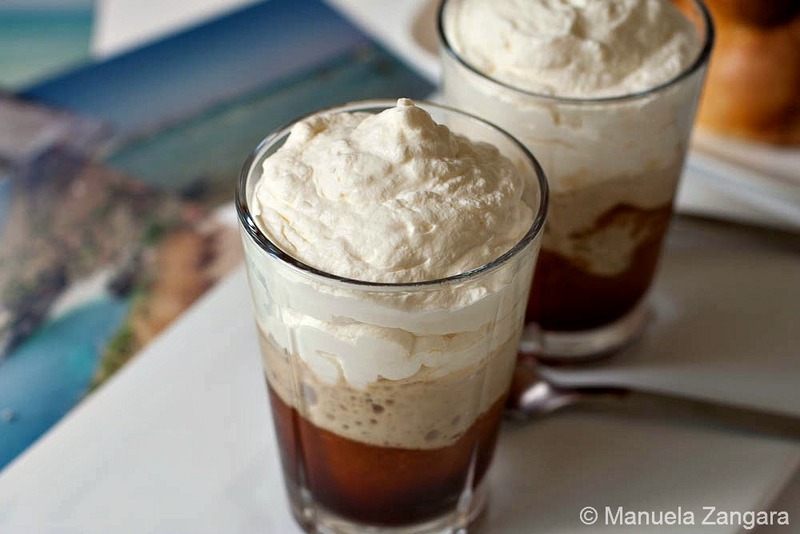 The recipe for the original coffee granita made with espresso and whipped cream, the Sicilian way. Churn in the ice cream maker for 20 to 30 minutes, until the granita reaches a sorbet-like consistency. Ah… the pictures you see next to my granite are from Sicily (not the Maldives ;-P)… Enjoy your breakfast! Oh my golly gosh, all that cream. I so wish I liked coffee because this looks so scrumptious. What a great “drink” to wake up to! 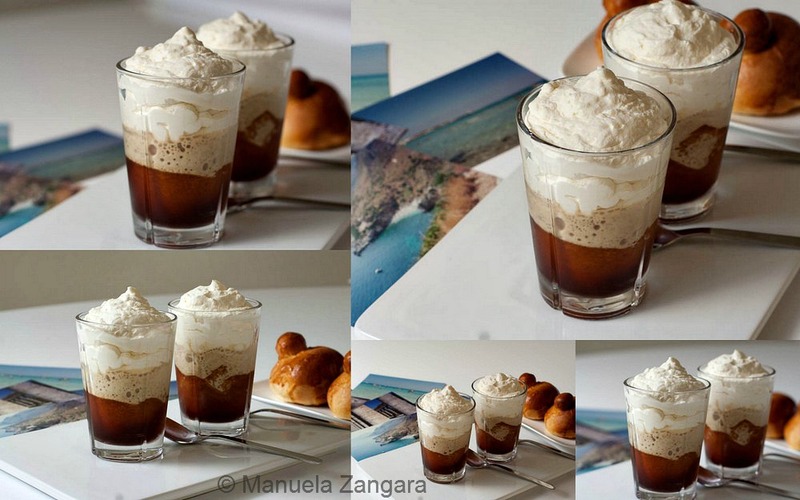 Love this granita and the drink your sharing with us! Delicious! Manu, when I lived in Japan I was crazy for this thing called coffee jelly. It sounds like a jelly version of this which I’m sure I’d love! I can’t wait to try this – looks so delicious. 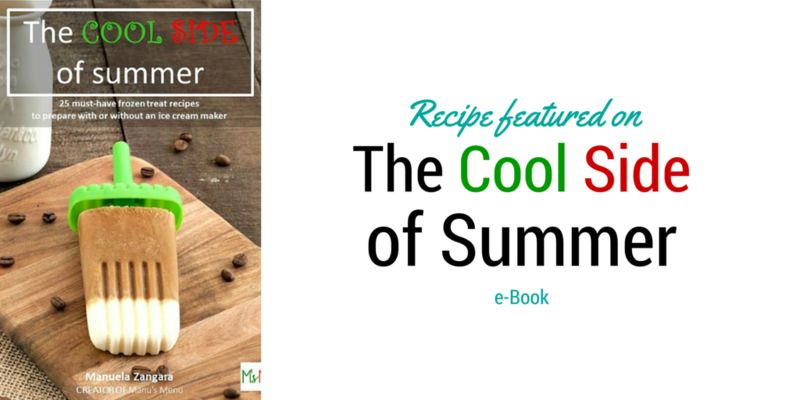 Living on the Arizona desert I am always on the lookout for cool and refreshing recipes. Thank you so much for sharing.